Your stock market losses can mean a larger tax refund. 1. How Are Stock Market Losses Treated for Tax Purposes? 3. Do You Have to Claim Stocks You Sold in a Year if You Didn't Make Any Money? Most investors suffer stock market losses from time to time. 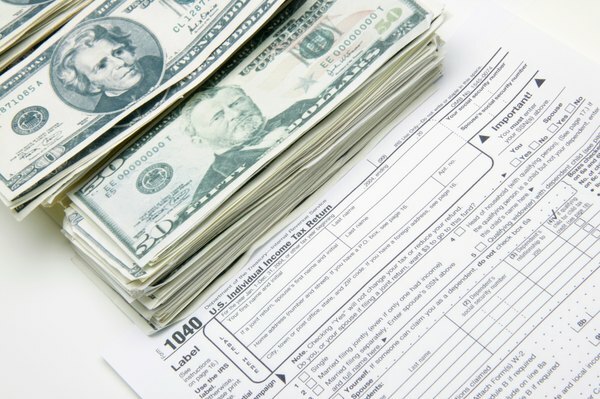 Knowing how the Internal Revenue Service treats the deductions can help you decide when to bite the bullet and sell your losing stocks to maximize the tax breaks. The losses that you can claim depend on the amount of capital gains you have to offset for the year. When claiming a stock market loss on your taxes, the amount you can actually claim is determined by the amount of capital gains you have for the year. You can only claim stock market losses on your taxes when you actually sell the stock, not just because the market price went down. The loss on each stock trade equals the amount you spent to buy it, which includes brokerage fees, minus the amount you received for selling it, less brokerage fees. For example, say you bought the stock for $800, sold it for $716 and paid $8 in broker fees on both trades. Your capital loss would be $100. The IRS allows you to use your losses to offset your capital gains for the year. The amount of losses you can use each year to offset your gains is limited only by your total gains. For example, if have $5,000 in gains for the year, you can only use $5,000 of losses to offset those gains. Alternatively, if you had $100,000 of gains, you could use $100,000 in losses that year. However, if you've got more losses than gains, most taxpayers can take up to $3,000 of the losses as an investment loss tax deduction that year. Any additional losses must be carried over to a future tax year and used either to offset that year's gains or to claim another deduction. For example, if you have $15,000 in losses remaining after offsetting all of your gains, you can deduct $3,000 from your taxable income and then carry the extra $12,000 over to the next year. You can continue to deduct the loss in future years until you use it all. Generally, you can't take a stock loss deduction on your taxes for stock market losses in a retirement plan, like an IRA or 401(k), that is already tax deferred. An exception comes if you receive a lump sum distribution of all your funds from a particular plan and it's less than it cost you to participate in the plan and it's entirely in cash or worthless securities, and this exception only lasts through tax year 2017. Even if you meet all the requirements, the deduction is subject to a threshold of 2 percent of adjusted gross income threshold, so any losses less than 2 percent of your AGI aren't deductible, either. These types of deductions can't be claimed from tax year 2018 through tax year 2025 under current tax law. Can I Buy Stocks Outright? Do Tax Losses & Gains Cancel Each Other Out?